Spring is happening at Westwood Gardens, even with the SNOW! We are not fair weather gardeners at Westwood Gardens! We are bringing on Spring in spite of the SNOW we have had sent to us by our Bi-polar Mother Nature. We are hoping she is back on her meds now and will send us Spring as usual. She is not stopping us, though. Come in and see Spring at the Nursery, you won’t be disappointed! 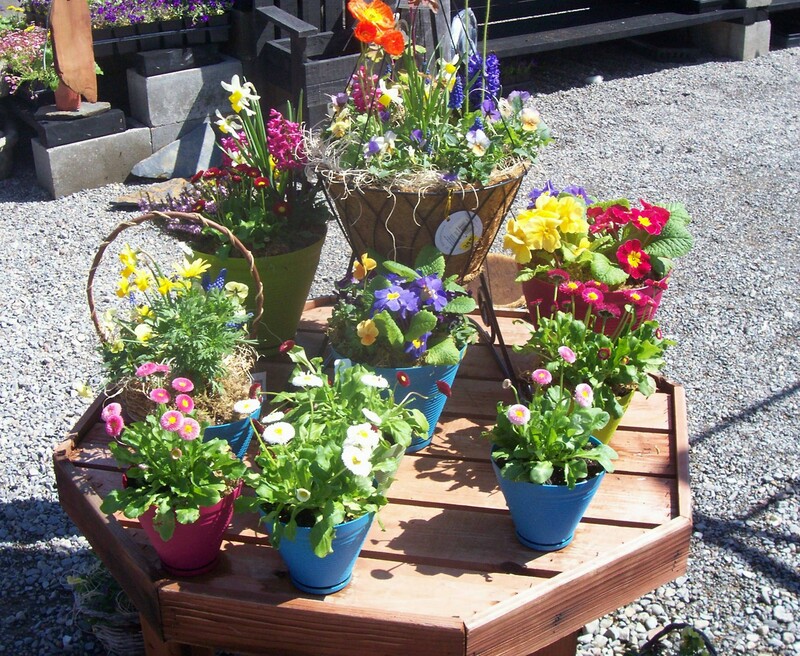 Our talented designers, Jill and Stephanie have been busy and have a great selection of planters to delight you! They can custom make any thing your heart desires! Spring has Sprung at Westwood Gardens! We are fully stocked with all of your favorites and more! Come and see what is new this year…I will give you a hint, with out spoiling your fun, we have expanded and you won’t be disappointed!